How can I pay it forward in my own community? What books should I read when I'm finished with Pay it Forward? 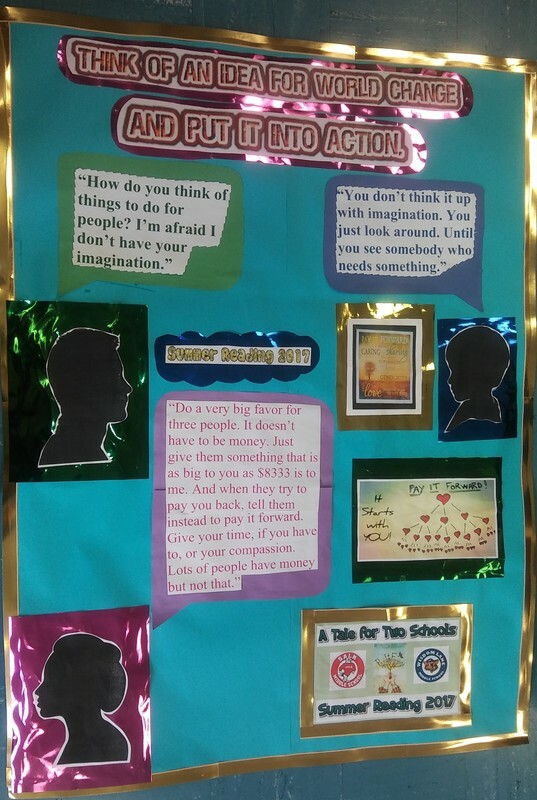 Students will discuss the book and create projects related to the content! All 3 days have the same program so just register for one at the library. This is not a mandatory program. 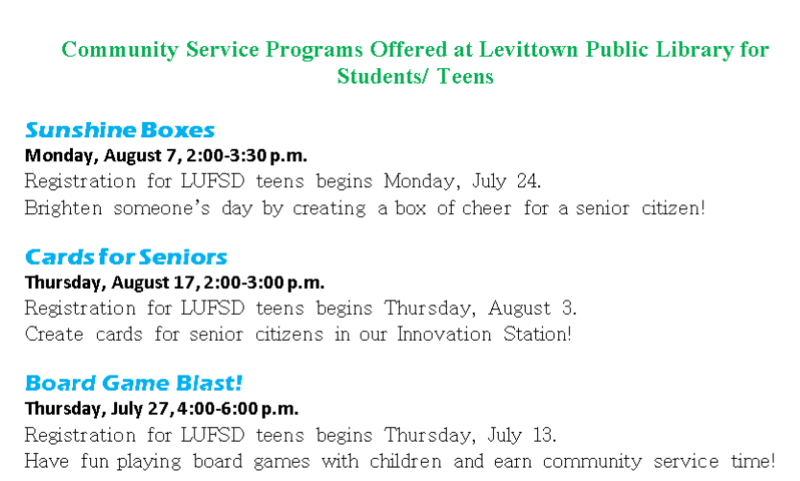 You will receive raffle tickets when you go to the Levittown Public Library and check out a book, join the Summer Reading Program, or participate in a Pay it Forward Discussion Day. You will also earn tickets when you submit photos of any projects or writing you have done during the summer! We will announce the raffle prizes in September! The Levittown Public Library will offer Pay it Forward read aloud days!